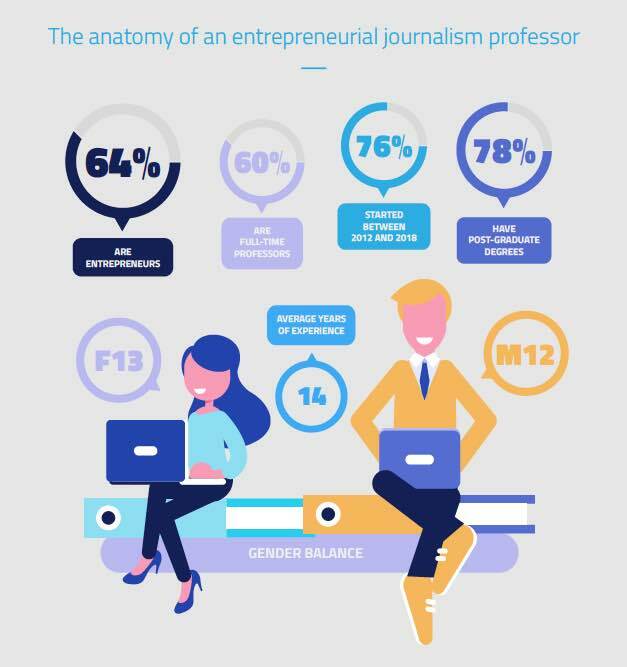 With the invaluable support of the Google News Initiative, SembraMedia has produced the first in-depth study of the way entrepreneurial journalism is being taught throughout Latin America. I was the English editor of this study, which involved interviews with 59 professors and entrepreneurs across 13 countries, in three languages. We looked at a combination of factors – published academic research, entrepreneurial media projects produced by students, backgrounds of teachers and trainers, and much, much more. The portrait that emerges is of a fast-changing landscape, where universities and journalism departments are struggling to catch up with not only market conditions, but the desires of their students. Click here to download the Starting Point study in English. The Spanish and Portuguese versions are available through the SembraMedia micro-site dedicated to this report. Inflection Point is the most comprehensive investigation ever done into the size, influence, technological sophistication and business profitability of digital natives in Latin America. I was the lead writer and one of the analysts for this report, which drew on the research of a team who interviewed one hundred digital media entrepreneurs in three languages, in four countries. The report has now been cited in more than 150 articles, posts and academic papers. Download the PDF, or read the report in English, Spanish or Portuguese at data.sembramedia.org. My background as an investigative reporter and editor have given me the skills to do in-depth analysis of tech trends and tools. My freelance work includes case studies on newspapers and multimedia development for the Newspaper Association of America (NAA.org), the World Association of Newspapers (WAN), the Online Journalism Review (OJR.org) and Advanced Interactive Media (AIM Group). As a managing editor, I assembled a team of expert journalists, digital entrepreneurs and marketing mavens, to build the Audience Planbook for the NAA. It covered innovative processes that a news organization must go through in order to reinvent itself and start producing the kind of content that attracts online readers. Download the PDF version of the Audience Planbook. Ethnographic research and focus groups: Under contract with The Newspaper Association of America (NAA), I recruited, organized and monitored two focus groups of Spanish-speaking high school students in Los Angeles. I observed them as they explored the Spanish website EP3, which was developed by Spain’s national newspaper, El Pais. The most valuable insight was not WHAT the subjects did – but HOW they did it. What impressed the editors, was how my research revealed the spontaneous way the students self-organized into groups and the extraordinary number of IMs and SMS messages they sent to each other. My background in journalism included designing pages for newspapers and magazines. Writing Dummies books has helped me keep my design and writing skills up to date. To me, great design is about making complex information immediately appealing and engaging. Cyberattacks are getting worse – are you protected?